SONOMA, Calif.– The Sonoma Stompers Professional Baseball Club is proud to partner with KRAVE Jerky for the fourth season in a row. This season, the brand that revolutionized jerky with tender texture and bold flavors will present KRAVE Night on Wednesday, one day after National Jerky Day on Tuesday. For National Jerky Day, KRAVE will give away 25,000 bags of delicious jerky across the United States. To celebrate locally, KRAVE will be hosting a raffle on KRAVE Night and will additionally be offering exciting KRAVE swag on other themed nights. Show your #KRAVElove by tagging @KRAVEJerky and using the hashtag #NationalJerkyDay on Tuesday. Fans can use the hashtag #KRAVEbetter during each game while enjoying bold, satisfying jerky that doesn't compromise on nutrition or taste, and pairs perfectly with a cold gameday brew. Find KRAVE products at both of our ballpark concession stands, the Palooza Gastropub and Mary’s Slice Shack at Palooza Park at Arnold Field. KRAVE will also once again bring the KRAVE Klub to the ballpark, located behind the third base dugout. The section offers comfortable seating complete with up-close views of all the Stompers action. For more information about KRAVE, head to kravejerky.com or check out their bold flavors in a grocery store near you. 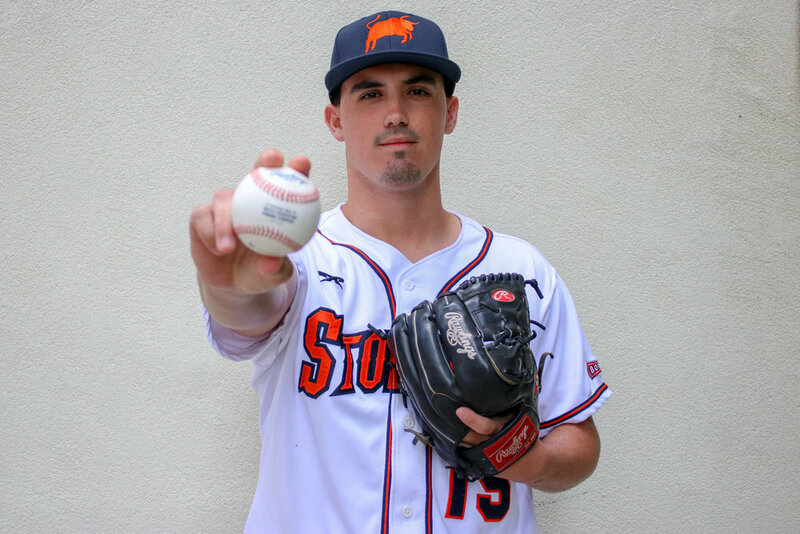 To purchase Stompers tickets and to find more information about the team, visit stompersbaseball.com, call us at (707) 938-7277 or send an email to info@stompersbaseball.com. SONOMA, Calif.– Ahead of the league opener tonight in Martinez, the Sonoma Stompers Professional Baseball Club has released its full 2018 roster. In addition to exciting newcomers like 2017 Defensive Center Fielder of the Year Miles Williams, the Stompers are proud to bring back several Sonoma stalwarts. Infielders Daniel Comstock, Kevin Farley, Daniel Baptista and Eddie Mora-Loera all started for the Stompers last season and will join the team once again in 2018. Outfielder Marcus Bradley and pitchers D.J. Sharabi, Zack Wendorf, Jacob Cox, Dominic Topoozian and Juan Espinosa also return. Sonoma also welcomes newcomers like infielder Rayson Romero out of Sonoma State and former Royals prospect Patrick Conroy. Conroy, a two-time Pacific Association Pitcher of the Year, will serve as the team’s pitching coach. The roster under first year manager Zack Pace also includes pitchers Daniel Bodishbaugh, Brandon Erickson, Ethan Gibbons, Robbie Kidd, Robert Maislin and Vijay Patel. Rounding out the Opening Day roster are Mitchell Ho, Kenny Meimerstorf, Wesley Phillips and Kam Stewart. Kelsie Whitmore and Stacy Piagno will be trying out for Team USA women’s baseball this summer starting June 7. Piagno threw a seven-inning, one-run game en route to becoming only the third woman since the 1950’s to pick up a win in a men’s professional baseball league last season. Join broadcaster Nick Badders for the league opener against Martinez at 6:30 p.m. on the Stompers Mixlr Channel.